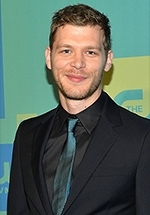 Joseph Morgan is an English-born Welsh actor best known for his role as Klaus, one of the Original Vampires, in the horror television series The Vampire Diaries and its spinoff series The Originals. He is also known for his role as Troy in the supernatural television series Hex, from 2004-2005. Morgan was born in London and spent his childhood with his family in Swansea, Wales, where he attended Morriston Comprehensive School before moving back to London in his late teens to study acting at the Central School of Speech and Drama. Upon graduation from Central School, Morgan was hired by acclaimed film director Peter Weir to costar opposite Russell Crow in Master and Commander: The Far Side of the World. Soon after completion of that film, director Oliver Stone hired Morgan for a strong supporting role in the feature film Alexander. After Alexander, Morgan spent time working on stage in the West End of London, as well as starring as Troy in the first series of the Sky One UK television series Hex. He also has starred in the BBC miniseries The Line of Beauty. Other television credits include the series Doc Martin and Mansfield Park, in which he played the character of William, alongside star Billie Piper. His big break came in 2009, when Morgan was cast in the leading role in the mini-series Ben Hur. Based on the classic novel and film, Ben Hur was directed by Steve Shill. In 2010, Morgan's film roles included the independent drama Angels Crest, and the big-budget film Immortals, in which he co-starred with Mickey Rourke. Both films were shot in Canada.